A new wearable band dedicated to tennis has launched on kickstarter and is hoping to ace its funding target. Who doesn't want to be a little quicker on the court, with slightly enhanced ball control? 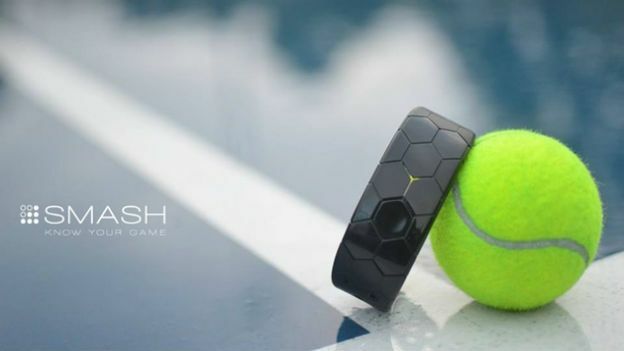 Smash is a new wearable device from Australia serving up a Kickstarter campaign for tennis fans. The band is fitted with trackers and sensors that'll track your shots and aspects of your swing such as the amount of spin you put on the ball. When you retire from the court, the information is then sent to your iOS or Android device for you to check on your performance. If Smash hits its target of $200,000 AUD in the next 43 days, then the company reckons it'll have products ready for next February. At which point, you'll need to pay $199 AUD to get hold of one.